Our daughter turned 3 last month and just received this for Christmas, she LOVES it! When bedtime comes she asks if she can do a few pages in "the book" with us. You can tell she is SO proud of herself - she smiles from ear to ear and emphatically points to the items as she "spots" them! 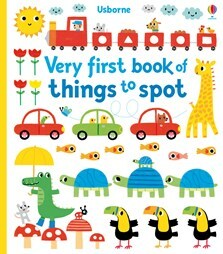 This has been a big clue to us that she's ready for more preschool age books - we're currently searching for more books just like this one for her! HIGHLY RECOMMEND!